This image is of a thermokarast melt pool, or permafrost melt in Central Alaska. To get there, follow the Denali Highway (all weather gravel) east from Cantwell about 60 miles. Cantwell is about 20 miles south of the entrance to Denali National Park. There’s no gas beyond Cantwell. There are bears though. Climate Change is here. 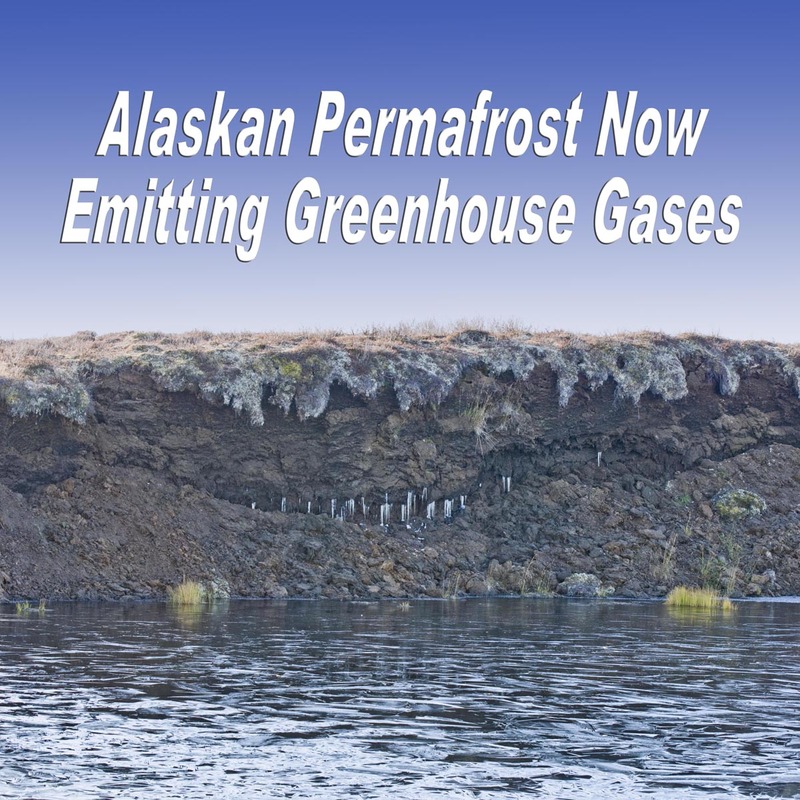 Alaskan permafrost is now emitting more greenhouse gases than it is storing according to work from Harvard, the Dublin Institute of Technology, Universities of Alaska, Colorado at Boulder, California at Irvine, NOAA and others in this powerhouse paper. This wasn’t supposed to happen before the end of the century. Alaskan forests still absorbed more than emitted, but only if wildfire was not considered. Everywhere else, in tundra regions and the mixed forest/tundra, emissions were greater than absorption. The authors tell us: “Long-term records of soil temperature within permafrost increased by nearly 2 °C at a depth of 10 m [to 15m] near Barrow since 1950.” This is deep warming and critical to overall permafrost melt. Alaska flipped from carbon sink to carbon source… Commane et al., Carbon dioxide sources from Alaska driven by increasing early winter respiration from Arctic Tundra, PNAS May 23, 2017. 2000 to 2011 C budget neutral… Ueyama M, et al. (2013) Upscaling terrestrial carbon dioxide fluxes in Alaska with satellite remote sensing and support vector regression. J Geophys Res Biogeosci 118: 1266–1281. 30 to 50-foot permafrost temperature increased by 2C since 1950 at Barrow, AK… Shiklomanov NI, et al. (2010) Decadal variations of active-layer thickness in moisture controlled landscapes, Barrow, Alaska. J Geophys Res 115:G00104.